Well, I've eaten my weight in cheese. South East London is my favourite place in the city, hands down! It's quirky enough to still feel part of London's cultural individuality, but it's quiet enough to still feel as though you're only just discovering it. Early Saturday morning Brockley Market is held in Lewisham College car park, and it's an utter dream. A quick wander around and you're overwhelmed with the local choice, and the delectable smells. I could have been tempted by any of the stalls but I opted for just two purchases. Number one was made at Hook and Son Raw Milk. Theirs is a true family business, which evidently has a lot of love and care going into it every step of the way. As we battle to save small independent businesses, this is championing cause, popping up at a fair fair few London markets with great products, and smiley service. 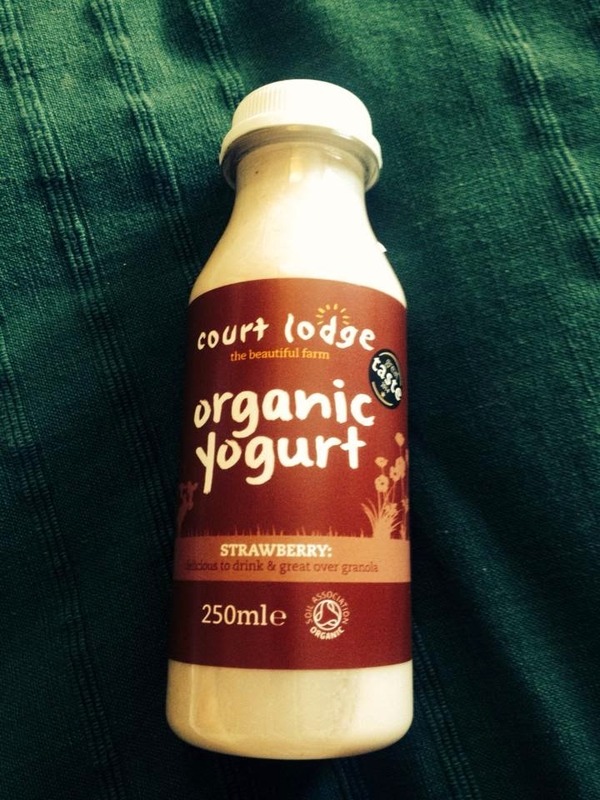 My strawberry yogurt drink was fresh and yummy-in-my-tummy. Now...for my breakfast. I could have popped. If cheese is melted, then I want it. If cheese is around onion, then I want it. If cheese....I WANT CHEESE. 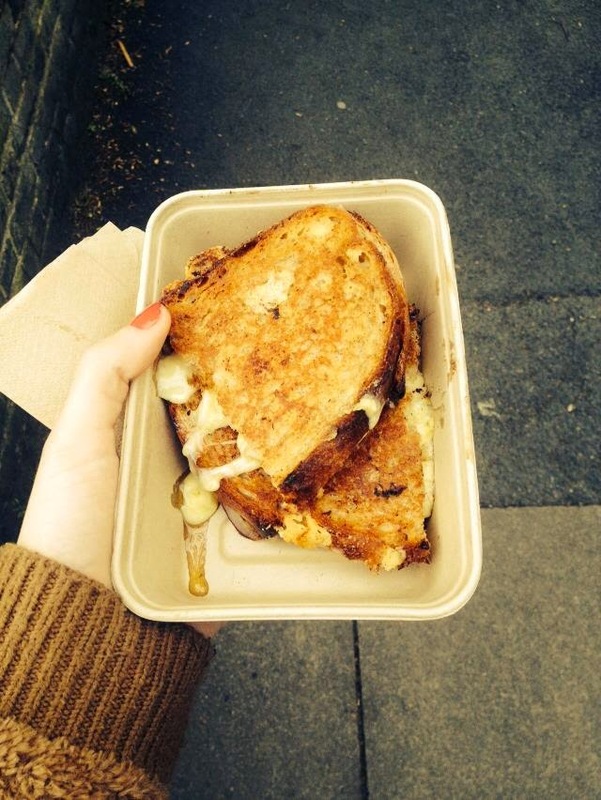 The Cheese Truck lures you in with it's ice-cream van-like style, lulling you in with a false sense of security, before - BAM - presenting you with a decadent grilled cheese sandwich. Their sandwiches are colossal, and a damn mission to finish. But so so good. 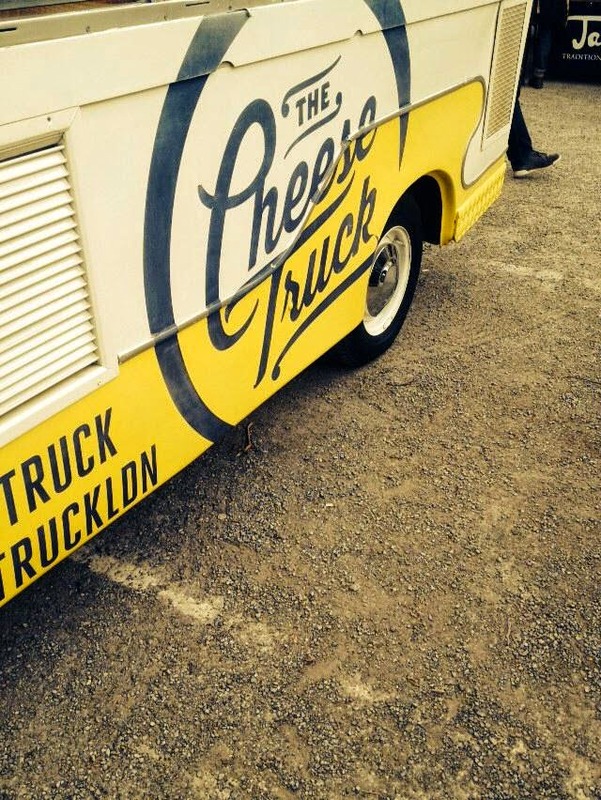 Keeping their menu simple, like their white and yellow truck, there are four options of cheesey delights to pick from; all created with the best of British cheese. South East London definitely has a strong community spirit, and never was it more evident than at Brockley Market. Got a favourite market that we should be visiting?